Police violence in St. Louis, heroin trafficking, and a possible upset in North Korean politics. Read about these stories and more in today's What You Might Have Missed. Rumors have begun circulating that claim that Kim Yo Jung, the twenty-something year old sister of Kim Jong Un, may be ruling the country, if only temporarily. These rumors began as a result of other rumors claiming Kim Jong Un may be sick with gout, diabetes, and possible problems with his ankles. 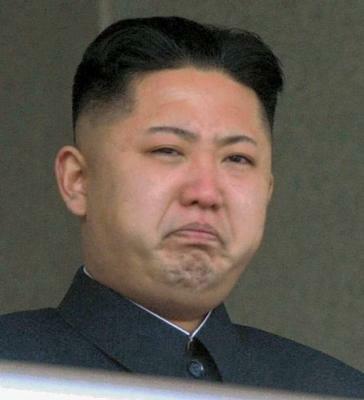 Kim Jong Un has not made a public appearance in over a month, officials state. A think-tank of defectors, The North Korea Intellectuals' Solidarity, have postulated that Kim Yo Jung may have taken up leadership responsibilities in her brother's absence. With Michael Brown's name still on the tip of the collective American tongue, another young black man was shot by a police officer Wednesday evening. The officer, off-duty at the time, stopped the victim for a pedestrian check. When the still-unnamed victim fled, the officer pursued. Shots were fired at the officer and, fearing for their safety, the officer returned fire and killed the victim. A gun was recovered at the scene. Tensions immediately came to a head, with a crowd gathering and chanting at the police. As the aggression mounted, a car driving through the protests had its rear window smashed. This all comes right before the planned "Weekend of Resistance" in Ferguson and the surrounding St. Louis area. The manhunt for cop-killer Eric Frein is still underway after his alleged September 12 ambush on two state troopers. Recently, handwritten notes were recovered from a campsite Frein stayed at, detailing his shooting of the two officers. The note reads: "Friday September 12, got a shot around 11 p.m. and took it. He dropped ... I took a follow up shot on his head, neck area. He was still and quiet after that." Up to 1,000 officers are currently involved in the manhunt. Four states have joined together in an effort to combat the growing heroin problem in the area, and Pennsylvania is among them. This comes after a massive increase in the trafficking and abuse of heroin across state lines. PA Attorney General Kathleen Kane announced this Wednesday that the multistate task force was designed to combat these problems, something Kane believes must be done. Emergency responders in Erie County may be getting an upgrade to their radio communications systems. The plan would replace the fragmented system that is currently in place. A consulting firm was paid to determine the most effective way to achieve this goal, and they determined the system could cost up to $30 million. Kathy Dahlkemper's requested 2015 budget includes yearly payments for this plan. County Council will make their final decision regarding the matter during their budget deliberations.